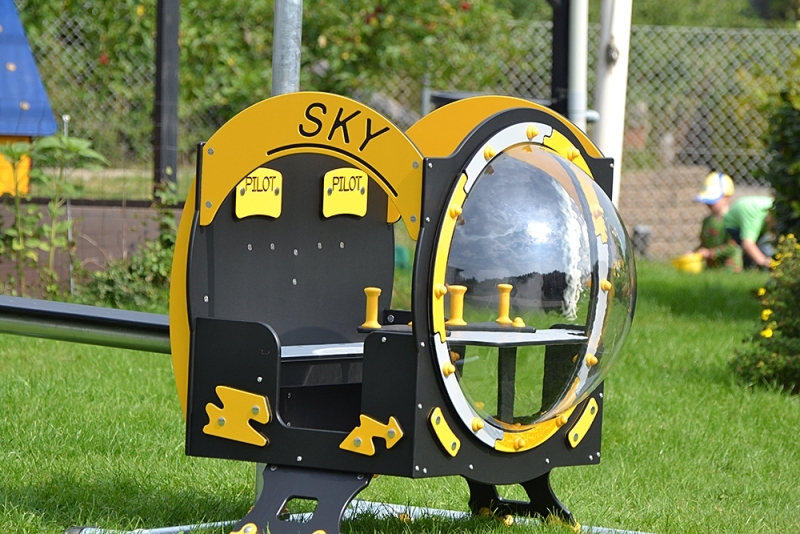 This high octane play unit will make children’s imagination over speed and take the 3 to 8 year olds to Seventh Play Heaven. 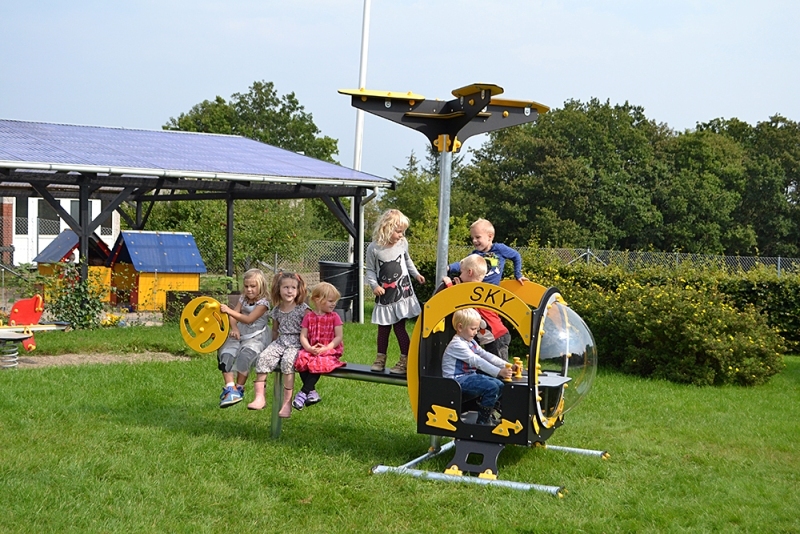 With its clear dome, movable pilot stick, gearshift and tail tube, this helicopter will surely attract troops of children. 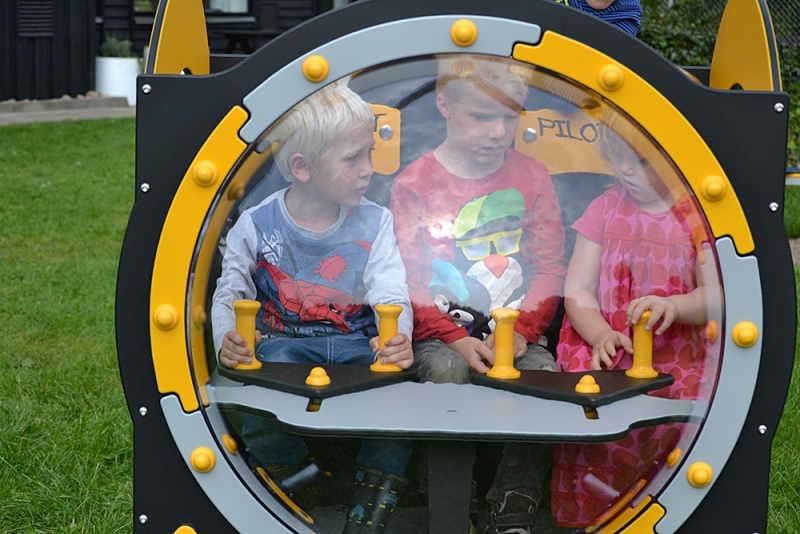 Movable parts really stimulate imagination. Cool and classic design appeals to many children. Possibility for both role and theme play.